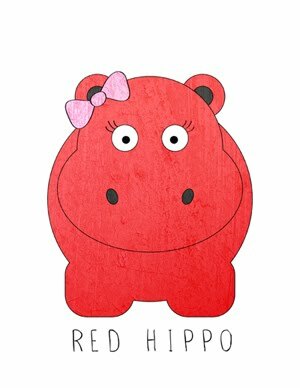 Red Hippo: thanksgiving in tahoe! we decided to rent a house with some friends in tahoe for thanksgiving, this year. tony and i usually spend thanksgiving by ourselves, with friends, or on a little trip- we sorta feel that there are SOOO many holidays that we celebrate with family, that investing one holiday a year with the family friends we've created, is a good way to forge lasting and loving relationships with people who don't share our dna. after all, my "family" is made up of my parents' best friends. these were friendships that they made before their kids were born- and it took lots of time, energy, and investment to create those valuable relationships. i want that for us and for our kids! the four frascone's piled into the car on wednesday morning. luckily, the storm in tahoe happened the day before we left, so traffic wasn't nearly as bad as we had anticipated. it took about five hours to get to our cabin. although the kids were bored, i'm happy to say that they behaved very well, and didn't watch a single episode of micky mouse (or anything else) for our entire drive! we arrived at the fabulous four bedroom, three bath cabin in the early evening. the kids started playing with their friends immediatley! those five children played non-stop for four days. honestly, it was the easiest parenting weekend i've ever experienced. Brad and i cooked the thanksgiving meal, and it was pretty good...if i do say so myself! i made pumpkin pie, root vegetables, and candied yams (my favorite)! i love sharing the kitchen with pals- although most of the time, it's my male friends that are the ones cooking with me (hey ladies, step up yo game!!). the boys went sledding with the kids (sailor even got on the sled a few times) and i stopped by to take pictures and do a couple of runs with easton! sailor was a little IFFY about the snow- but he did better than i expected! i think he even liked it, a little bit. we had so much fun relaxing and watching our combined five children play! we had football on the tv throughout the entire weekend, and (luckily) i got to sneak away for some black friday shopping (online). the kids went with the adults in the hot tub, ate ice cream, and thoroughly enjoyed all the play time they could get, with each other!